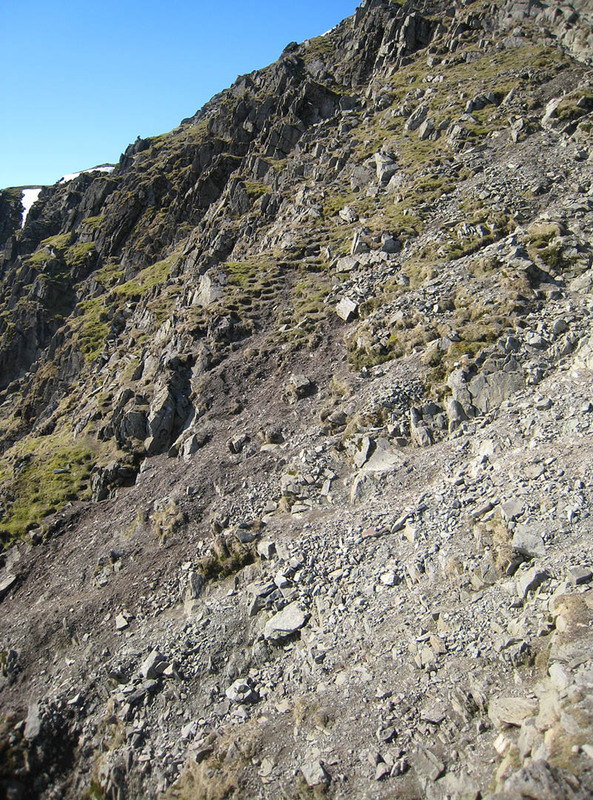 The main aim here is to ensure people stay on the arête itself rather than find or develop damaging and inappropriate alternative paths. Swirral Edge, running parallel to Striding Edge has been mostly completed, but it is important that we spend further time to ensure that any emerging problems are caught. 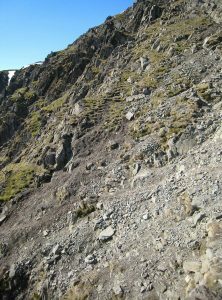 Striding Edge is eroding badly on the south side of the final ‘castle’. We have been working so far to stabilise the erosion in this gully and to hide emerging paths. 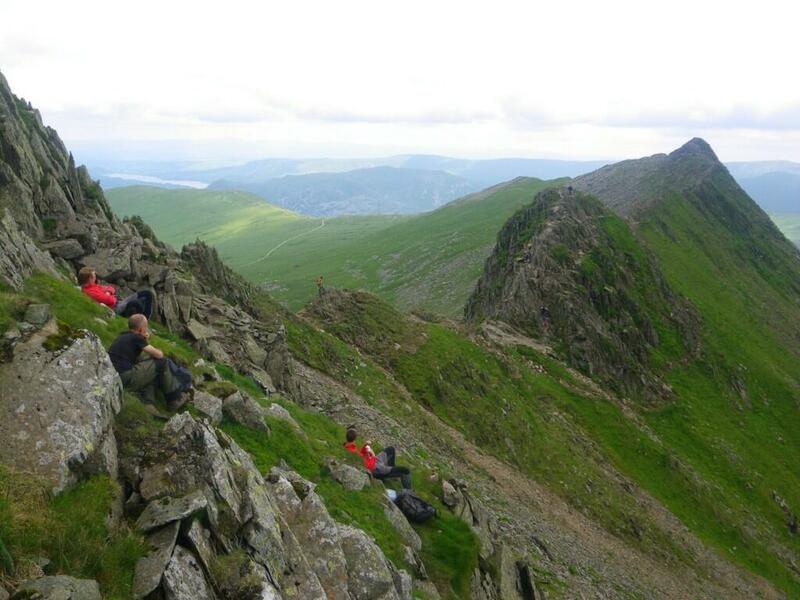 The particular challenge on Striding Edge is to persuade people that the rock is the best choice. Unfortunately from the ‘bad step’, many people try to avoid the rock, and instead follow narrow tracks that lead to the loose eroded gully. 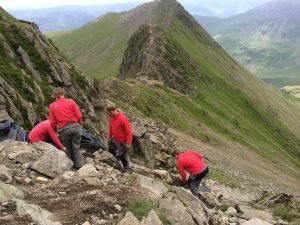 Part of this work has now been completed by our South Lakes and Western Lakes rangers but the weather caused problems with our helicopter flights and only half the required rock was delivered. Another helicopter flight is planned this summer and then work will begin again. The nature of the work on the edges is such that we will need to monitor the work and return in future years. It is a precarious site to work on and only our experienced rangers are undertaking this work. The Cicerone Fellranger guides are being updated and the revised Eastern Fells book will include a section on the importance of keeping to the ridge. We will use this information in the car-parks at Glenridding as well to ensure people are fully aware of the challenge ahead should they choose to tackle Striding Edge. Always time to look at the views though….